It’s not that he doesn’t trust the folks running Valeant. It’s just that, when someone Bill Ackmans a company Bill Ackman owns a big chunk of, and that Bill Ackmanning costs Bill Ackman $4 billion, Bill Ackman can hardly just sit around and do nothing. And so if he’s got to fire off pre-dawn e-mails, lecture the company’s board or make ominous rumblings about finding someone new to run things, then that’s what he’s going to do. Among other things, Mr. Ackman has pressed Mr. Pearson for answers, told the lead Valeant director that Mr. Pearson might have to go, and considered dumping his entire initial investment in Valeant, for which he had paid $3.8 billion…. 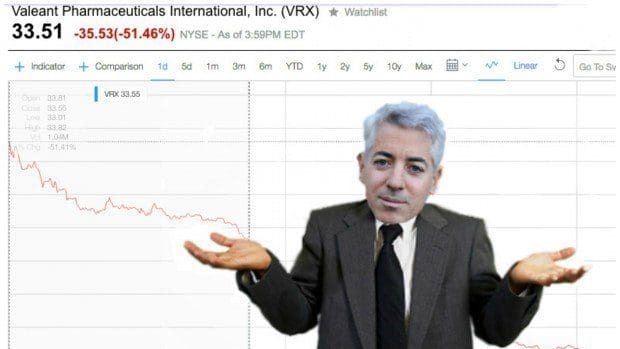 Valeant’s decision not to hold a conference call didn’t sit well with Mr. Ackman, who phoned the company’s lead director, Robert Ingram, the former CEO of Glaxo Wellcome Inc. “If Mike [Pearson] hides in the bunker on this, he can’t be CEO,” Mr. Ackman said…. All in all, it certainly has Bill longing for the days when he was the one single-handedly torpedoing a company’s stock. “It’s humbling to be on the other side,” he says. Especially since that side is not only more fun, it also may be that of the angels, to the extent there are any, according to Andrew Ross Sorkin. The data about how long activists like Mr. Icahn actually hold shares in companies, makes the narrative fuzzier — or at least more complicated. In many instances, activists may be holding shares longer than many institutional or retail investors…. Holding a stock for three or four years doesn’t make them Mr. Buffett, who owns stakes in companies for decades. But set against the average investor, activist investors may look like Rip Van Winkle. It’s all enough to make Ackman consider becoming one of his greatest enemies: Dan Loeb. The Valeant bet has been stressful for Mr. Ackman, a health-and-fitness buff who plays tennis competitively, contends that “sugar is poison” and this year attended a training camp run by former Navy SEALs. These days he is considering adding meditation and yoga to his regimen. 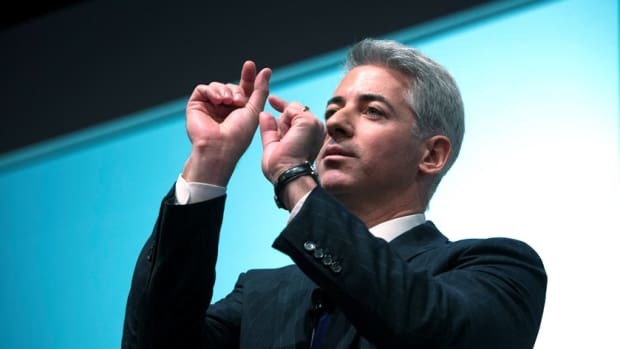 Who Is Bill Ackman Trying To Fool? Ackman the saint vs. Ackman the sanctimonious.